These tiny booties by Creative Knitwear are one size fits all for infants! 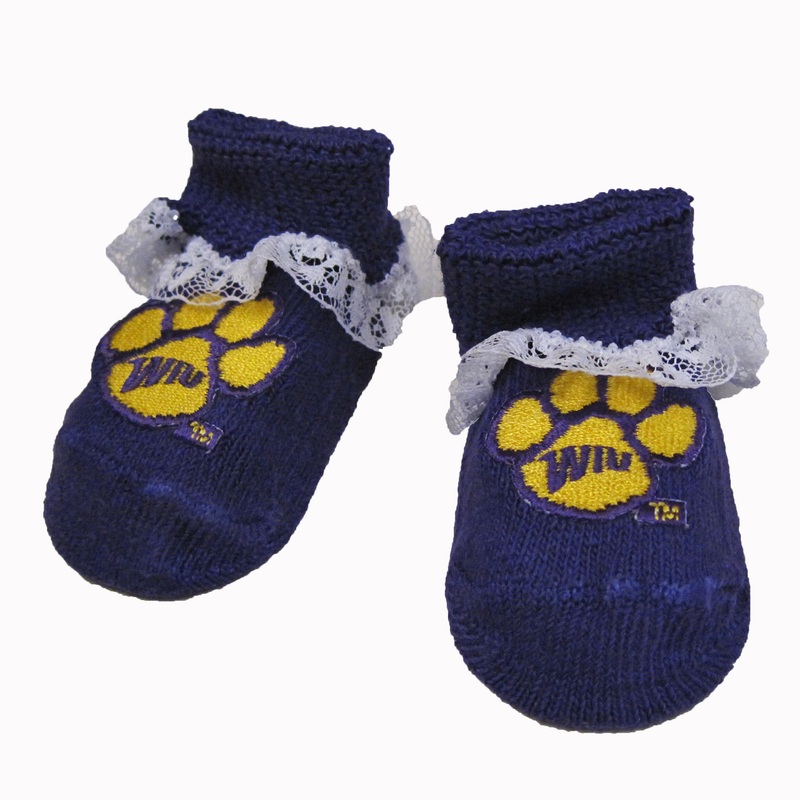 These have a delicate, lace trim around the ankle are purple with an embroidered WIU paw print. These booties also come in a tiny gift box. Made of 75% cotton, 20% nylon, and 5% spandex. Please select option for Newborn Lace Booties.